The study of the lac operon has played an important role in understanding the control of gene expression in bacteria. In prokaryotes, gene expression is controlled primarily at the level of transcription. For eukaryotes, the promoter activity can be analyzed by using fusion genes containing the promoter of interest attached to the bacterial β-galactosidase gene and be assayed by measuring β-galactosidase activity. 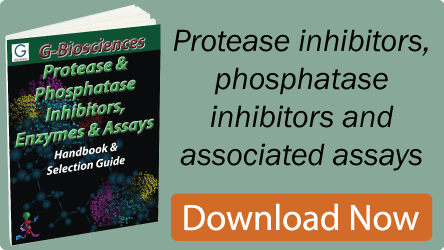 Because β-galactosidase has a high turnover rate and is absent in mammalian cells it serves as a very useful and sensitive reporting tool for gene expression. Esters of the fluorescent compound, 4-methylumbelliferone (4-MU), provide a sensitive, quantitative assay for β-galactosidase. 4-methylumbelliferyl-β-D-galactopyranoside (4-MUG) is a substrate of β-galactosidase that does not fluoresce until cleaved by the enzyme to generate the fluorophore 4-methylumbelliferone. The assay can be used with extracts from different expression systems including mammalian, insect cells, yeast, and bacteria. 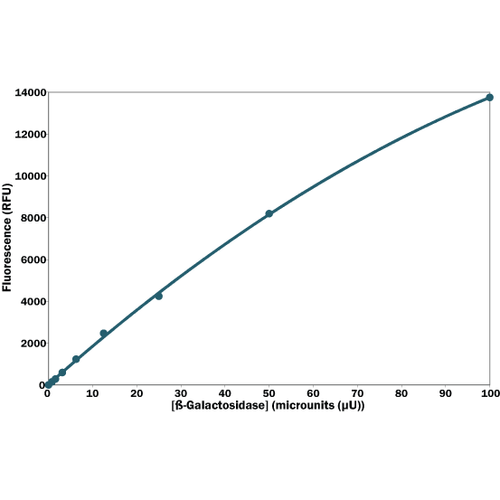 The Fluorescent β-Galactosidase Assay (MUG) provides a 96 well assay format for galactosidase activity that is suitable for high throughput applications. The production of the fluorphore is monitored at an emission/excitation wavelength of 365/460nm. This kit is designed for 500 micro-well assays.